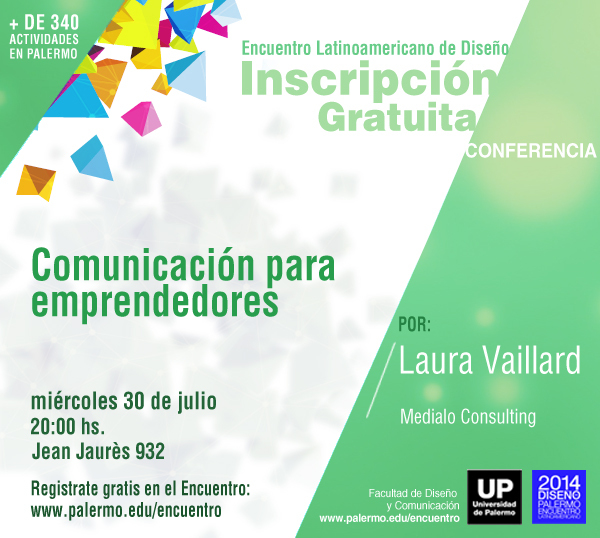 On July 30, 2014 I give a conference at the Universidad de Palermo where I will provide tips on “Communications for entrepreneurs”. If interested, you have until the July 4th to sign-up. It is free. To attend you must sing-up at: www.palermo.edu/encuentro.